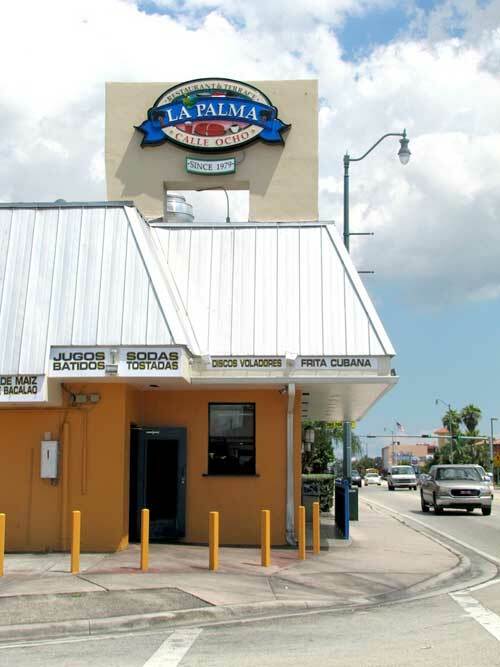 Since 1979, La Palma restaurant has been serving up old school Cuban cuisine at old school prices. The atmosphere is warm and friendly. 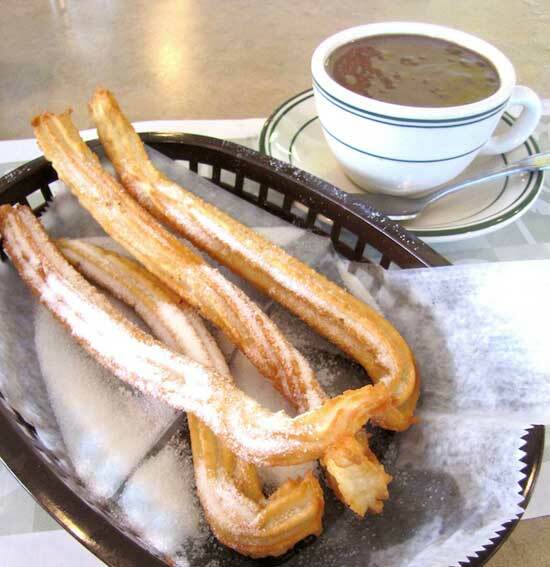 There are not many winter nights in Miami where you can’t find a Spanish television station camped out in front of the walk-up window filming locals enjoying some of the best churros and hot chocolate the city has to offer. 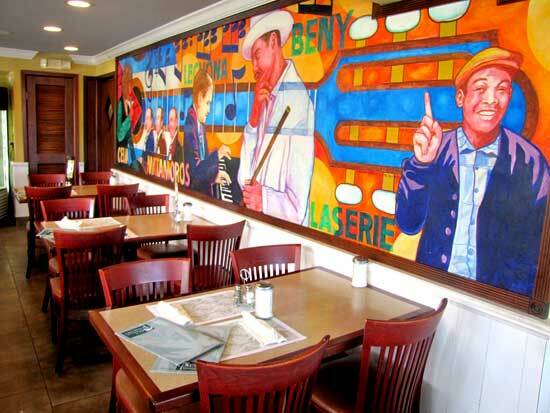 Located in West Miami, this Calle Ocho staple is celebrating their 32nd anniversary with specials, such as roasted pork for six people at $29.99 and Executive Lunches at priced at just $4.99. And here’s the best part: It’s always open 24 hours. Whether it’s a batido de trigo (wheat shake), or media noche (Midnight sandwich), you can treat yourself anytime day or night. Appetizers start at $2.85 for mariquitas (plantain chips). And locals rave about the ceviche ($5.50) and frituras de bacalao (codfish fritters, $3.99). Start off with a homemade soup ($2.49 and up). 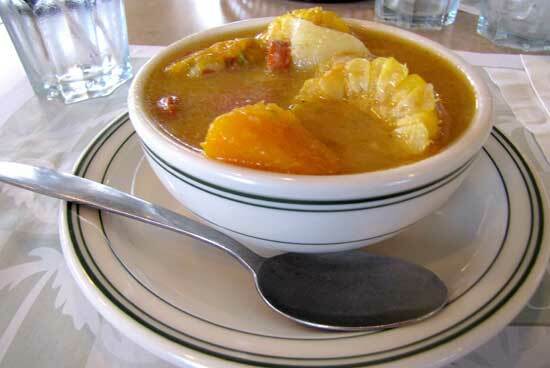 Ajiaco (chicken with root vegetables), Caldo Gallego (Galician pottage) and Guiso de Maiz (corn) are some of the featured daily soups. Sandwiches start at $3.25, entrées (beef, chicken, or pork) with sides start at $6.50 and fish/seafood meals start at $8.99. Servers Oria, Luisa, and Teresa say their Pan con Bistec (steak sandwich) and croquetas (croquettes) are some of Miami’s best. 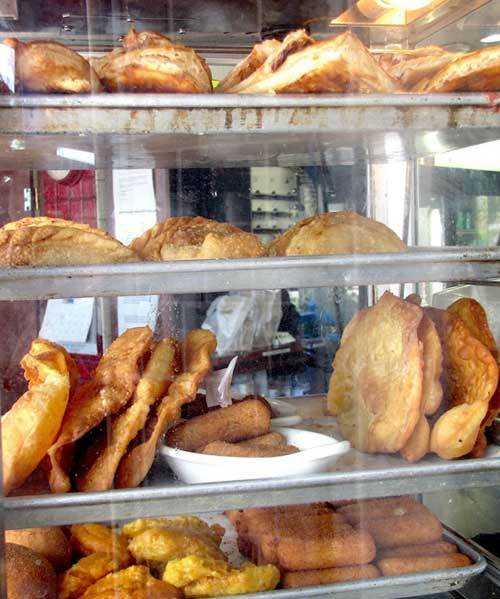 In fact, the New Times magazine gave them the title of best croquetas in Miami in 2009. 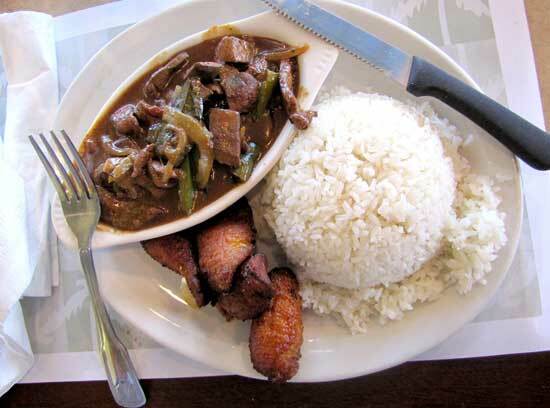 Daily specials (starting at $6.25) include favorites, such as Arroz con Pollo (chicken and yellow rice), Rabo encendido (oxtail stew) and Paticas de puerco (pig’s feet). Lunch specials are served during the week from 11a.m. to 4 p.m. They offer a traditional kids menu with a Latin flare. The young ones (and adults alike) will really get a kick out of their Flying Saucer sandwiches (starting at $3.29). Wash it down with a Guarapo (sugar cane juice) for $3.19, or a pitcher of chilled Sangria for $11.95. 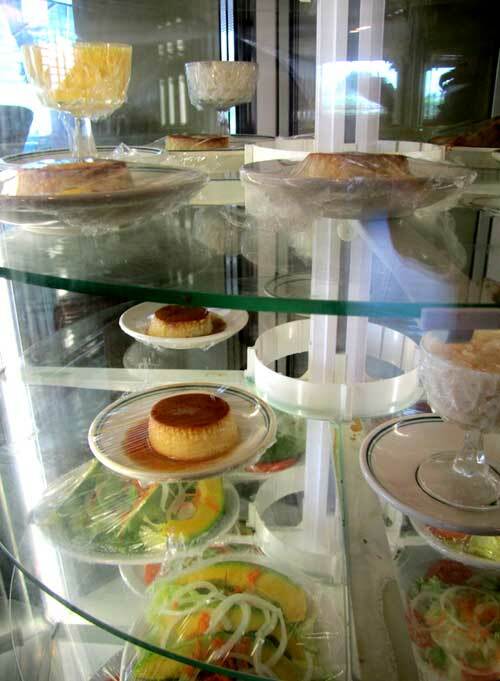 Remember, no visit to La Palma is complete without a little shot of Cuban coffee. Enjoy! And tell them that you heard about them on GreatFoodList.com. Open 24 Hours Lunch Specials (weekdays), from 11 a.m. – 4 p.m.